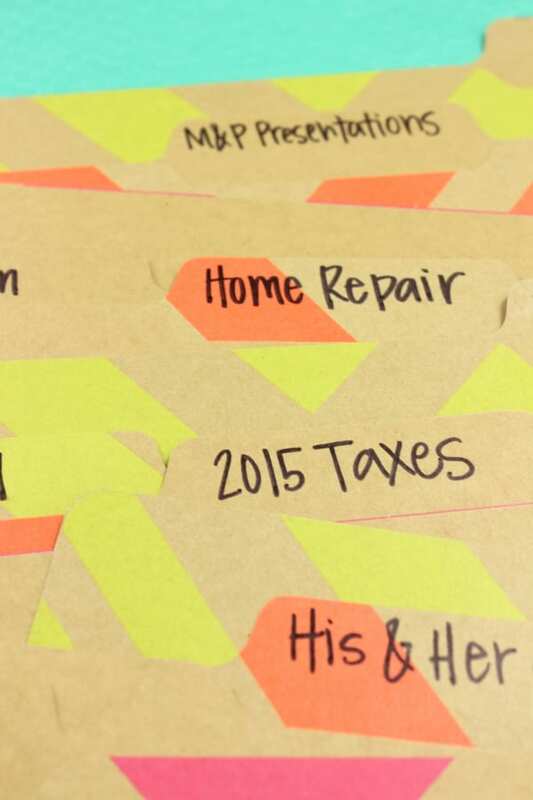 Am I the biggest dork ever for thinking that creating an Easy Household Filing System is actually fun?! On second thought, maybe don’t answer that. 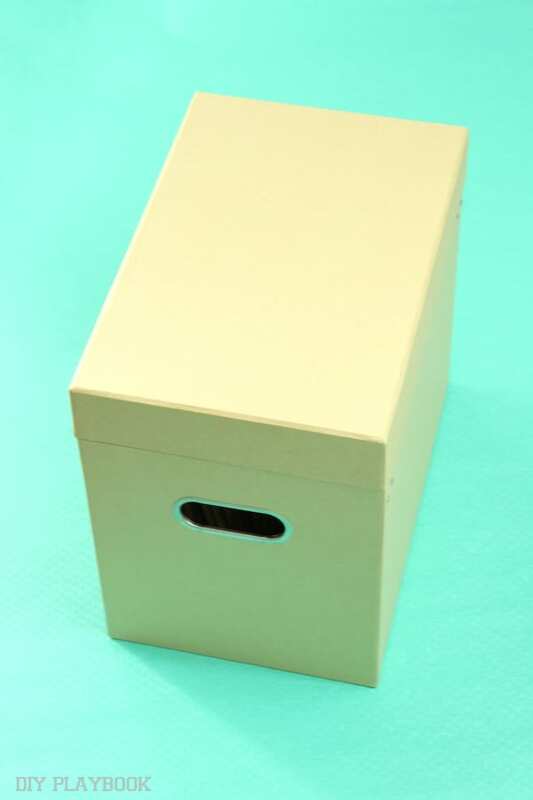 This is my 4th year creating one of these boxes to hold any and all important documents from the year. 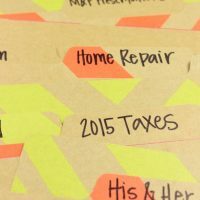 Bills, receipts, notices, warranties, important emails, tax info, insurance paperwork — you name it, these important docs are filed to be saved in an organized and super low maintenance way for at least a few years. Busy Girls, we know you have 5 billion other things to be doing, so creating a long and involved filing system with all of these intricate parts just ain’t gonna happen. Trust us, we get it. And heck, if you don’t have time to create it, we sure as heck know you will definitely not stick to it all year. 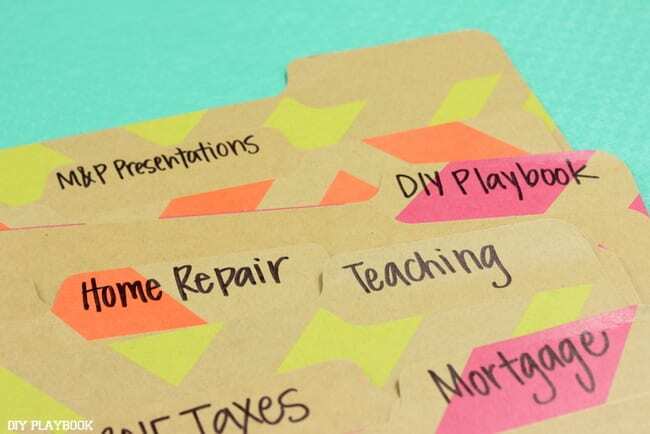 So let’s dive into an EASY and quick household filing system that you can maintain throughout the year without wasting that precious time of yours. Total Cost: About $20 and well worth all of the frustration you’re saving yourself by never losing an important receipt again! 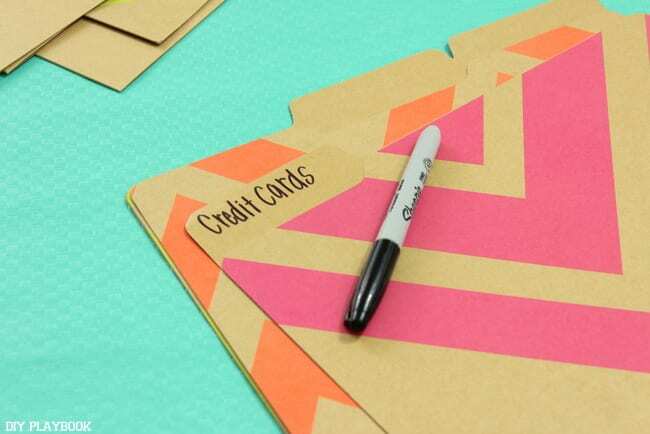 Other ideas for folders: Gym Membership, Student Loans, Grad School Info, Important Contact Info/Business Cards, 401k, Investments, Pet Care, a folder for each child, Large Purchase Receipts, etc ….) Again, these are the categories that seem to work for us, but feel free to adjust these to fit your needs. If I could give any advice starting off it would be to have extra folders in the back of the box in case you missed a category. 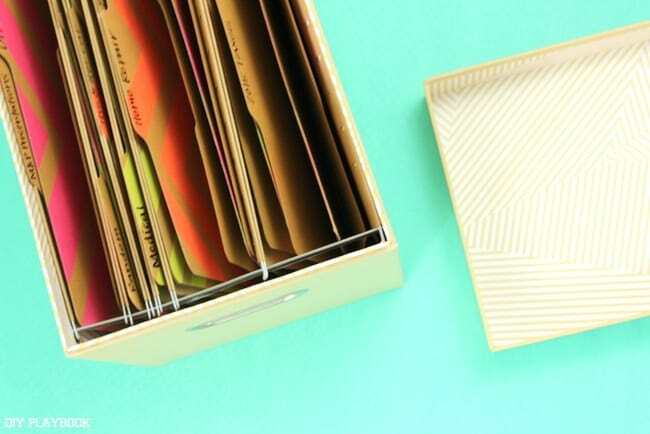 Having the materials ready for you to add to your folders down the line will help you stay committed and organized using your household filing system. 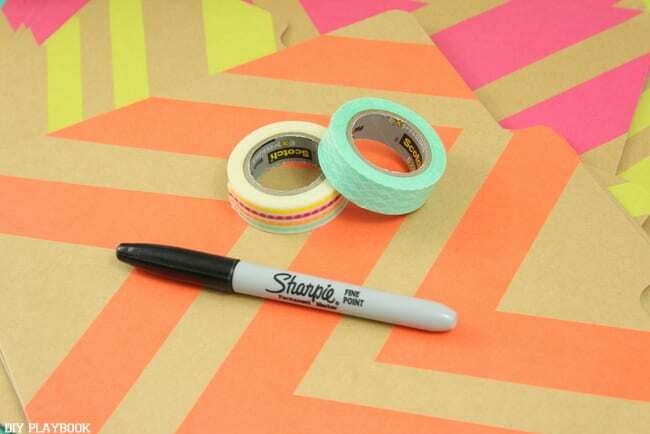 For some of the important folders, I like to use extra washi tape to put on the front of the folder. 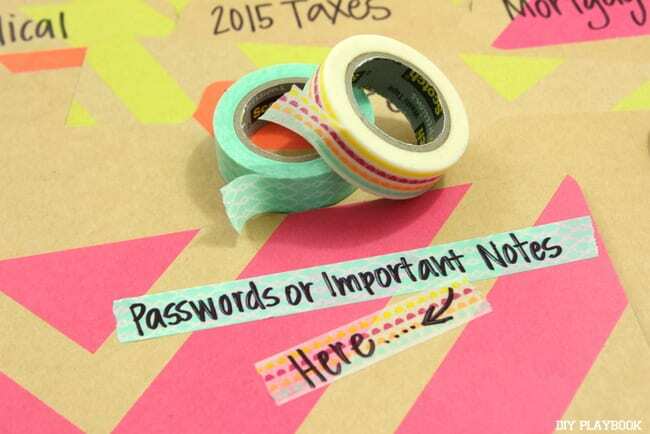 I write important passwords, notes, locations, phone numbers or anything I don’t want to forget about that specific folder on the washi tape. And if at some point throughout the year that info changes, I remove that piece of washi tape and add a new one with the updated info. This helps keep everything in one place & ensures I always know where to find this info. 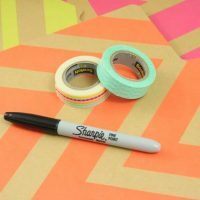 But if you don’t have washi tape– no worries! Just add those notes inside of the folder. Maybe in pencil or on a post-it? 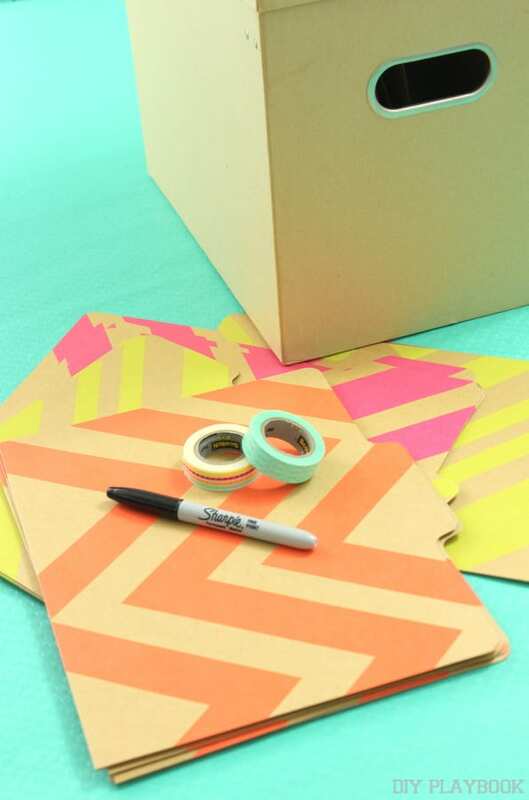 Once you write out all of your folders/washi tape, simply place them in the box and put the cover on it so all that clutter is not exposed. Now as you receive these important docs, you have a very specific/consolidated place to put them. 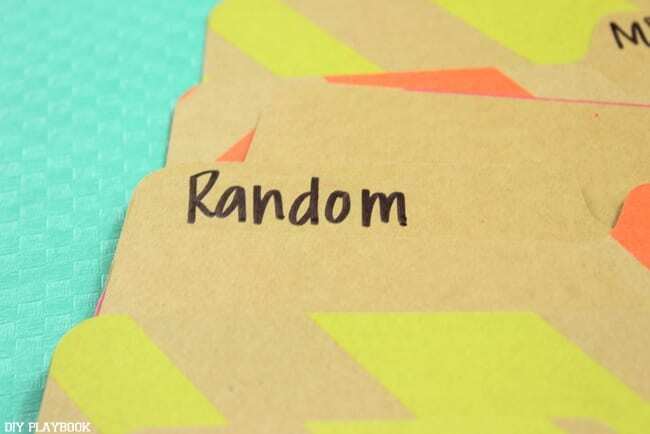 And when you have to go back in your files to rescue a specific document, you’ll know exactly where it is. Simply take the specific folder out and rifle through it until you find what you’re looking for. Like I said, I keep my boxes for a few years…. just in case I need something from one of them. But once I pass the mark where I can empty the old ones out, I will re-use the box and start all over with my rotation. Easy enough right? 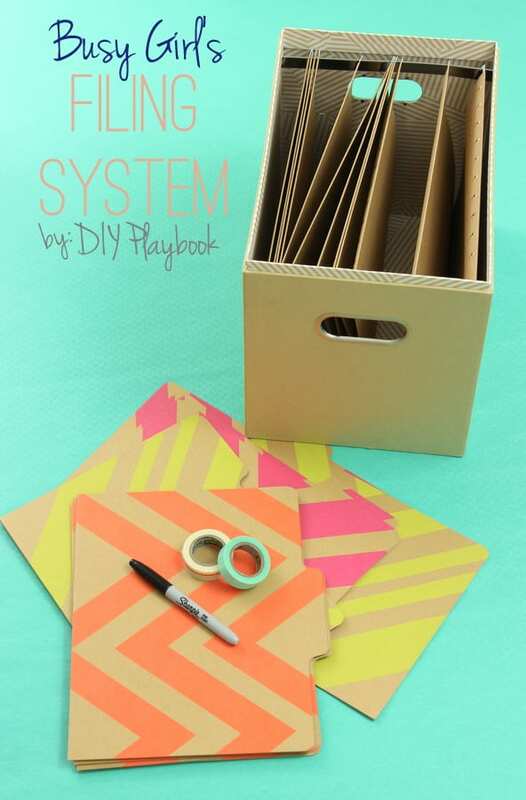 Busy Girls, if you have 10 minutes and $20 to spare, this is the January project you can’t afford to miss. 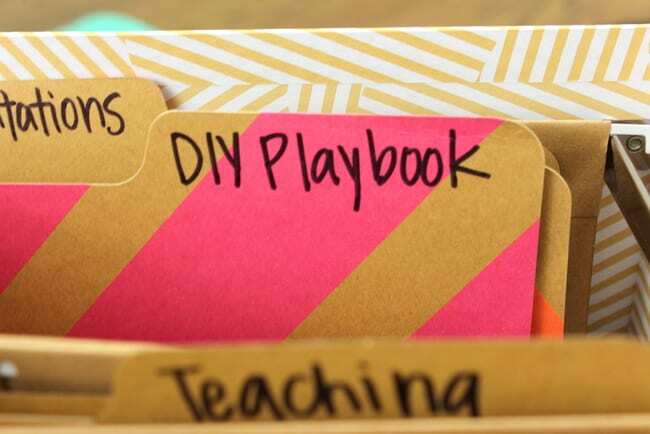 Unless you have another cheap & easy way to stay organized. I would LOVE to hear about it….